Having sealed an alliance with the Congress for the Lok Sabha elections in Jharkhand, JMM working president Hemant Soren on Sunday said a grand alliance is the "call of the day" to take on the BJP in the polls and the Congress must play the role of an elder brother in the "family". The former Jharkhand chief minister asserted that the Jharkhand Mukti Morcha (JMM) and the Congress have put the acrimony of a past split behind them and aligned with the Rashtriya Janata Dal and the Jharkhand Vikas Morcha (Prajatantrik) for the Lok Sabha as well as the assembly polls in the state this year. "Collectively, it has been decided after the meeting with Rahul Gandhi ji that the Congress will contest more number of seats in the Lok Sabha polls and the JMM will contest the lion's share of seats in the 2019 Jharkhand Assembly elections," he told PTI in an interview. Soren said the leadership of alliance partners is in constant touch with him, giving final touches to the seat-sharing formula for both the elections, and the arrangement will be formalised "very soon". "Our alignment with the Congress along with JVM (P) and RJD in Jharkhand is based on a larger mutual goal of building a socially inclusive, pro-people and welfare-focused government which prioritises the rights and entitlements of the marginalised," the leader of Opposition in the Jharkhand Assembly said. 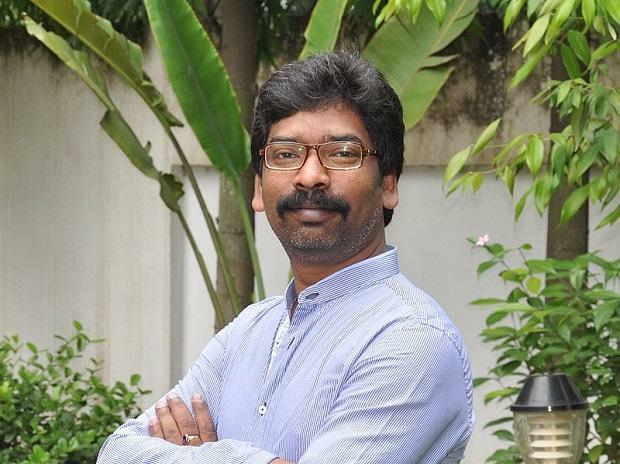 To ensure the country does not face further onslaught on its constitutional values, secularism, democratic principles and governance, the entire Opposition should stand united against the "fake jumla programmes" of the BJP, said Hemant Soren, son of JMM president Shibu Soren. "I do strongly believe that all regional parties will give due importance to these issues and as reiterated by all senior leaders at the rally in Kolkata, a grand alliance against the BJP is a natural call of the day," he said. Soren said a nationwide grand alliance is shaping up and the country has seen the strength it can gather at the 'United India' rally in January. "Across the country, the regional parties have taken an active role in shaping up (the grand alliance). Mamata Didi, Chandrababu Naidu ji, Tejashwi, Sharad Pawar ji, Deve Gowda ji have all come forward to ensure we work towards a common goal," the 43-year-old leader said. "On the national scale, therefore, it is imperative that the Congress takes up the role of the elder brother, and like an elder brother, accommodates and understands everyone else in the family to ensure there is cohesion and spiritedness in this tough battle ahead," he said. The BJP won 12 of the 14 seats in Jharkhand in the last Lok Sabha elections. The remaining two were won by the JMM. The Congress had drawn a blank in the state. On whether Rahul Gandhi is the natural choice to be the Opposition's prime ministerial candidate, Soren did not give a direct answer and said Gandhi is the Congress president and has "definitely placed himself at the forefront of raising important issues against the BJP government, both in and outside Parliament". Asked if Gandhi has all the qualities to make a good prime minister, he said, "Rahul ji is soft spoken, a good listener, and does value the ideas and thoughts that others bring on the table." The Congress president has also established his presence and popularity in the previous state assembly campaigns across the country, the JMM working president said. qualities and abilities, Soren added. However, he asserted that 2019 polls are not about an individual but a contest of ideas and values. Soren also slammed the BJP government's move to grant 10-per cent quota in the general category as a "jumla" and said he does not see any direct impact of the move in Jharkhand's context. The JMM leader said his party will highlight to the people the failure of the BJP governments at the Centre and in the state. Demonetisation's impact on the working class, informal economy, small traders, businessman and daily workers, lack of job creation, amendments to land acquisition act, Aadhaar-based public distribution system, were among the critical issues his party will raise in the run up to the Lok Sabha and assembly polls, Soren said. He also slammed the BJP governments for allegedly failing to deliver in the healthcare sector and ensuring electricity to all parts of the state. Jharkhand's unemployment rate is 13.6 per cent as of January 2019 and the BJP governments at the Centre and in the state have miserably failed to provide employment avenues for the youth, he alleged. Both Lok Sabha and state polls are slated to take place this year. In the 2014 assembly election in Jharkhand, the JMM had won 19 seats in the 81-member house while the Congress bagged 6. The ruling BJP had come out victorious with 43 seats.